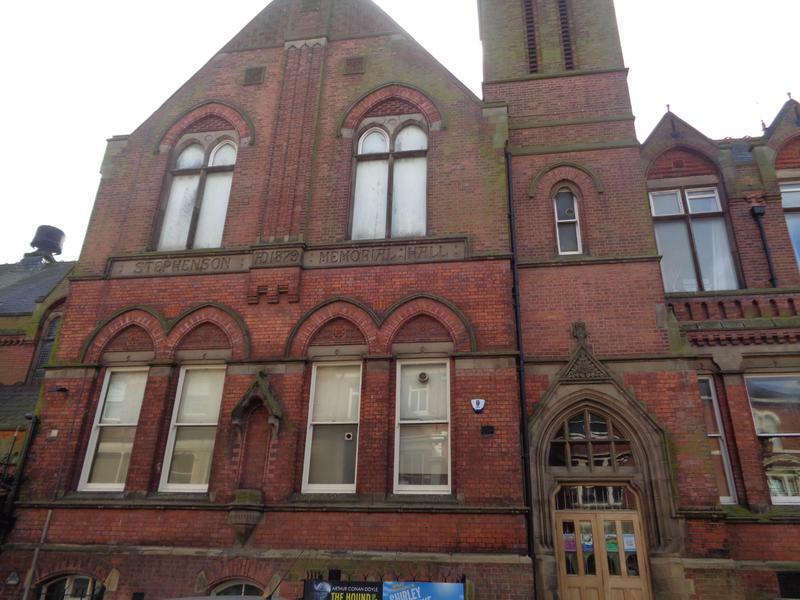 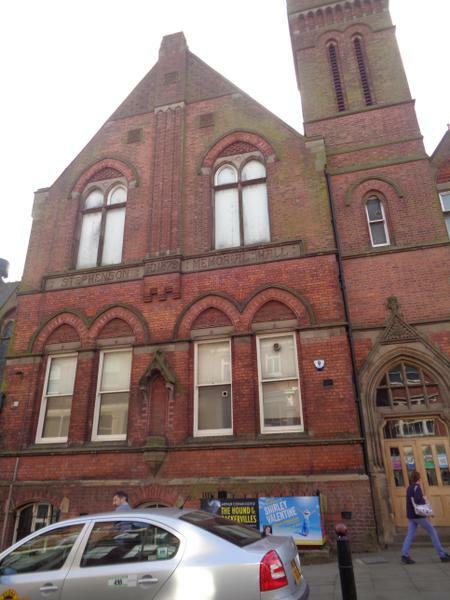 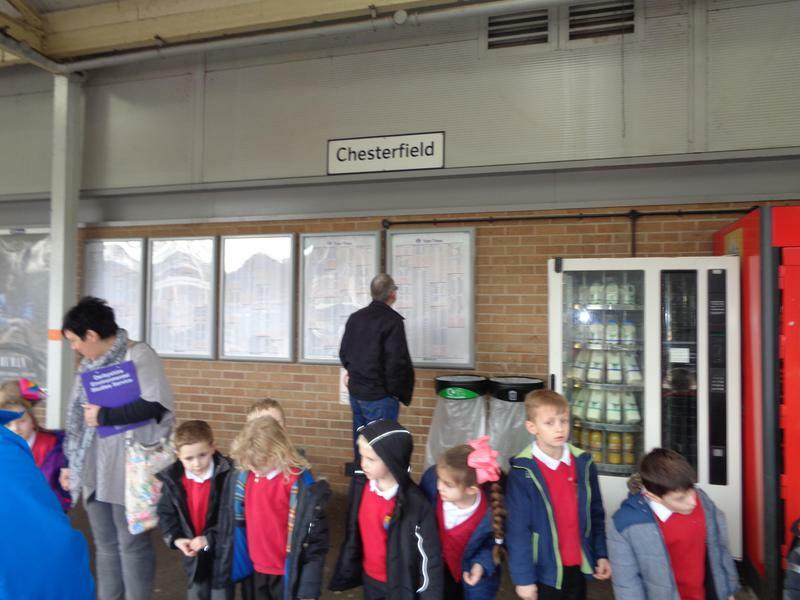 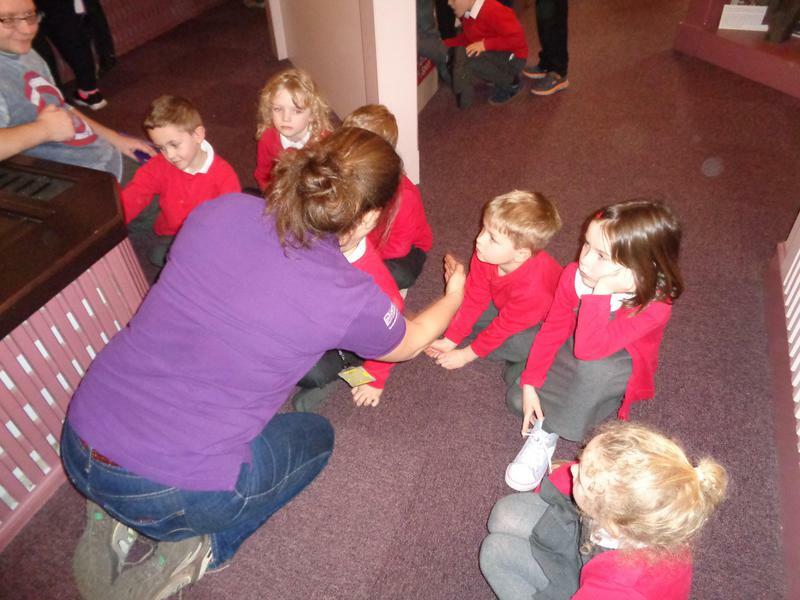 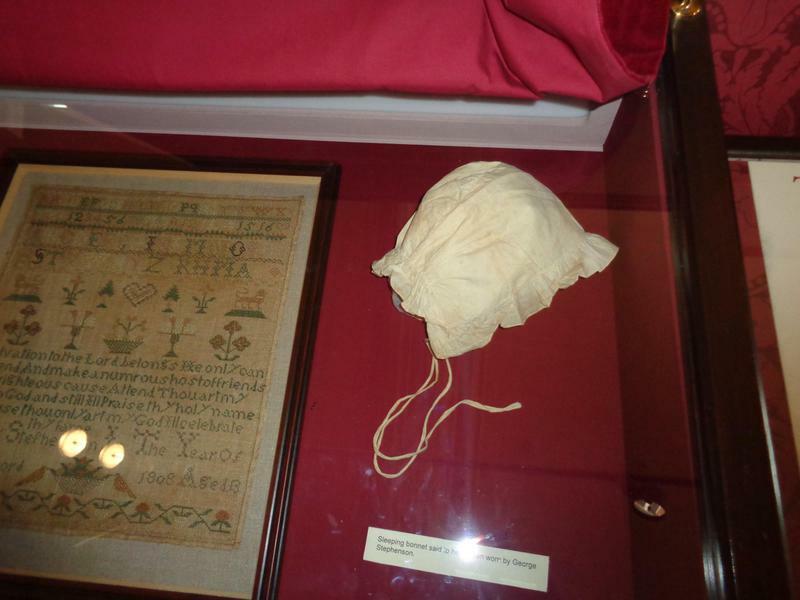 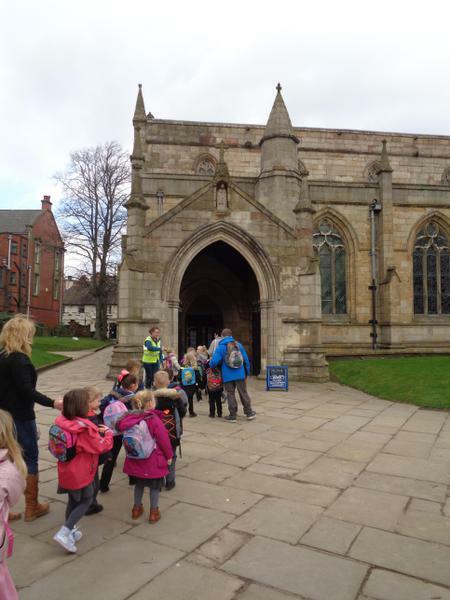 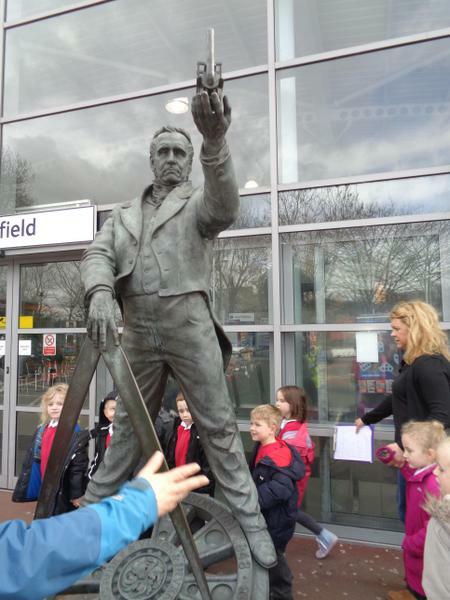 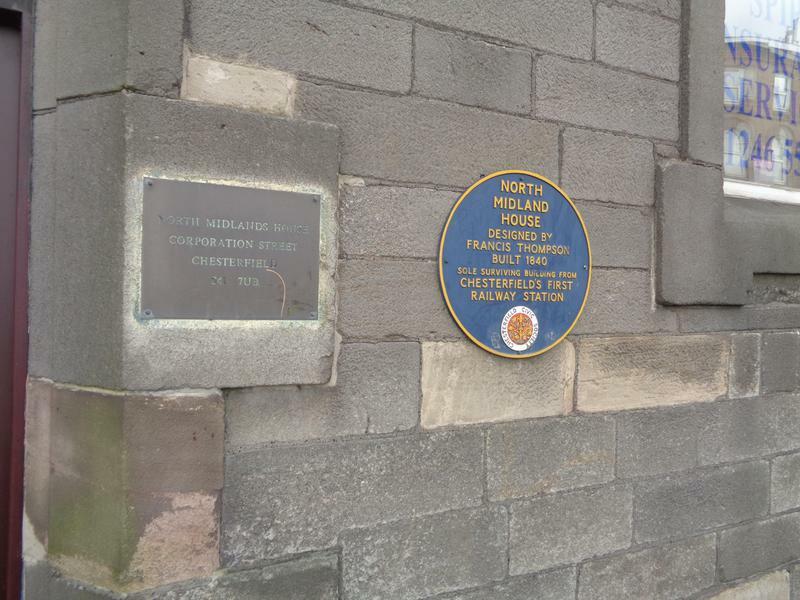 We went on a visit to the Urban Studies Centre, Chesterfield to learn more about the inventor George Stephenson. 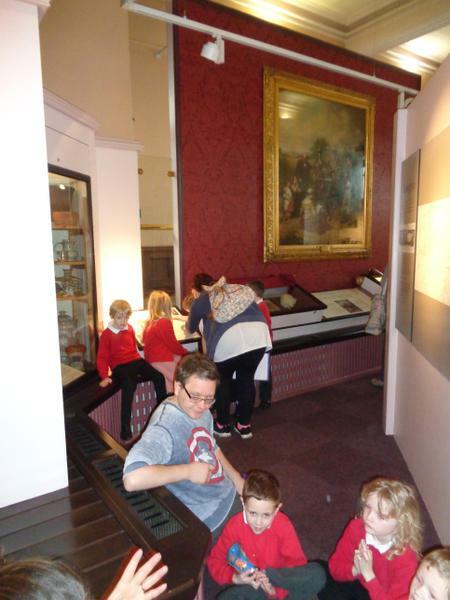 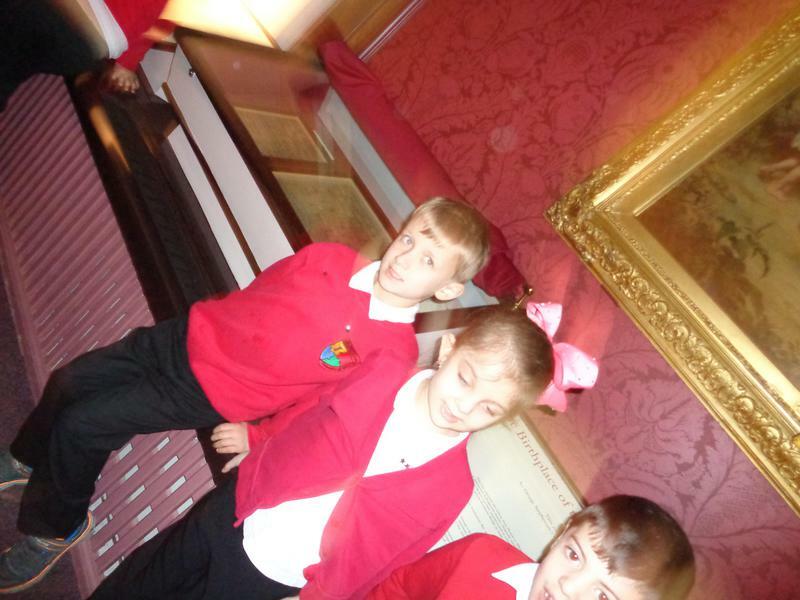 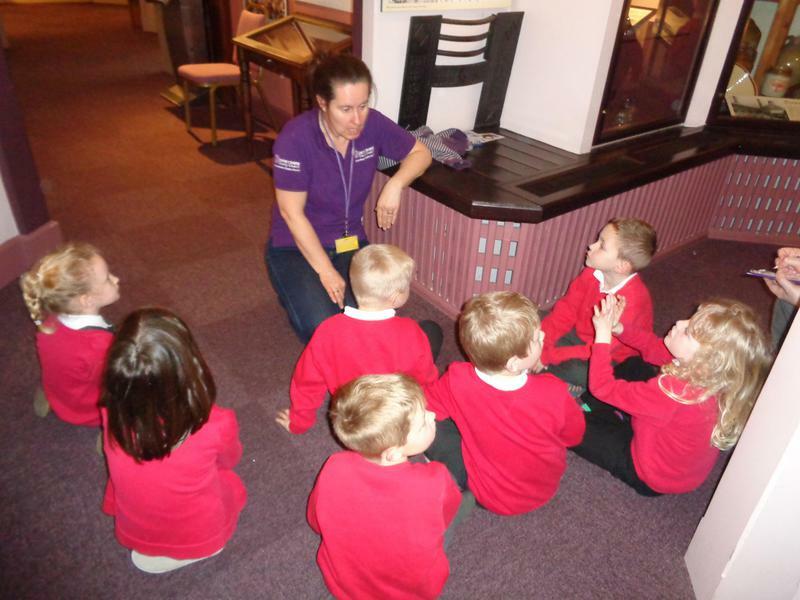 We thought of questions before going to the museum and finding out more information. 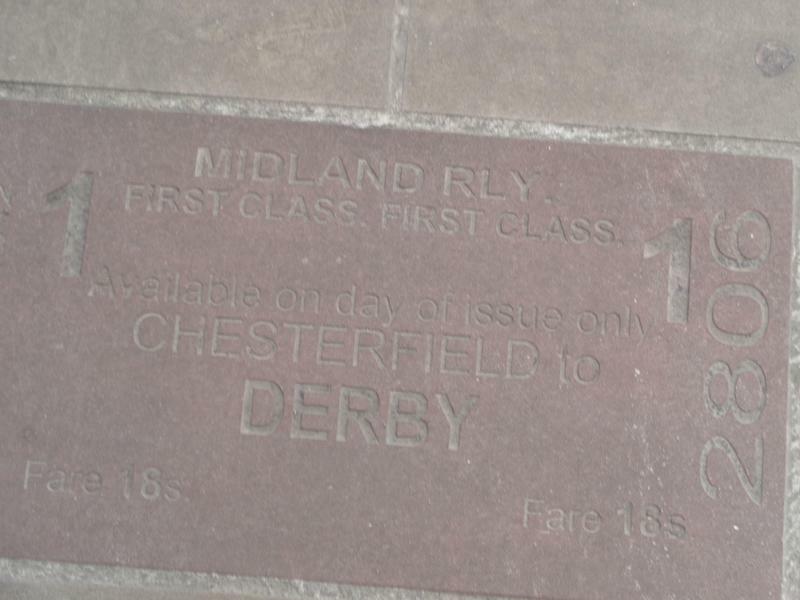 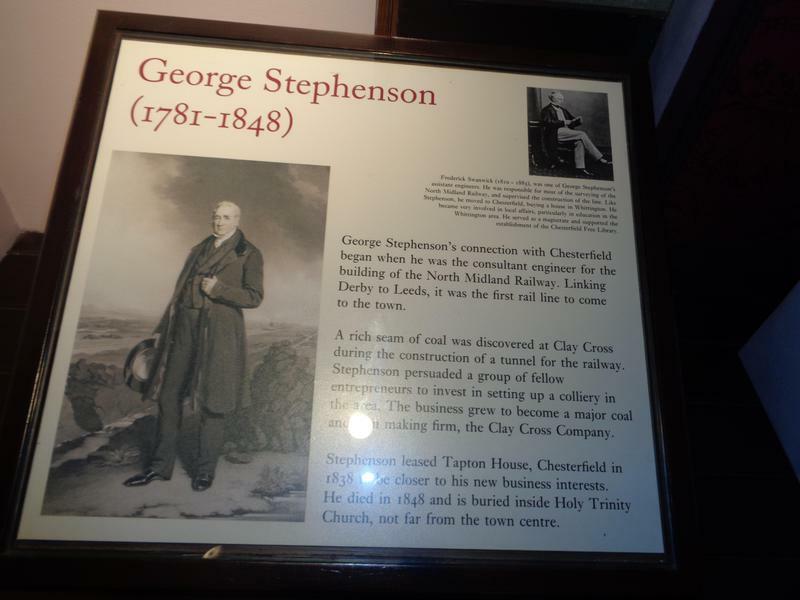 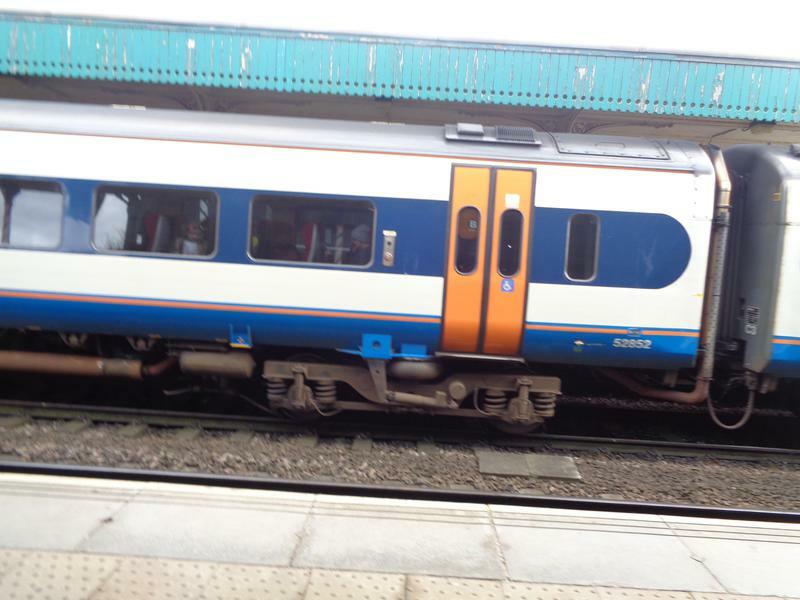 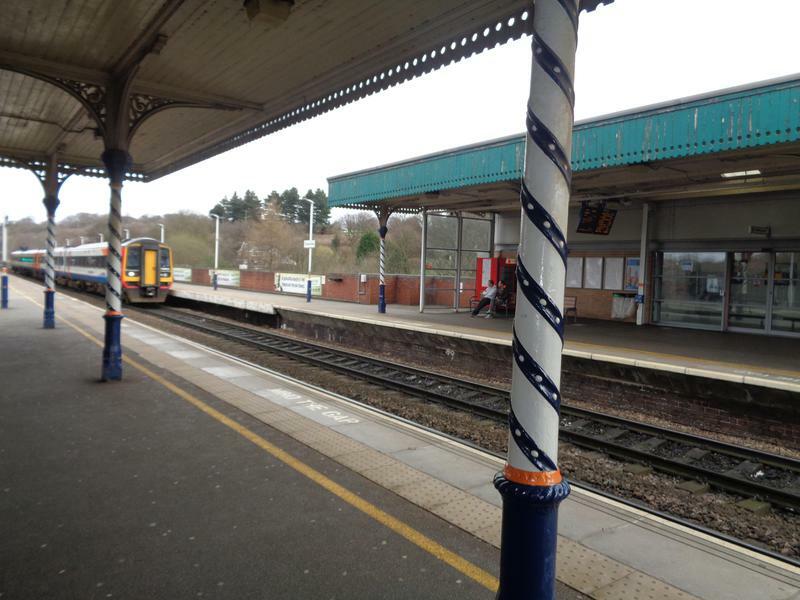 Did you know that in addition to inventing the steam train, George Stephenson was the engineer in charge of building the first railway to Chesterfield? 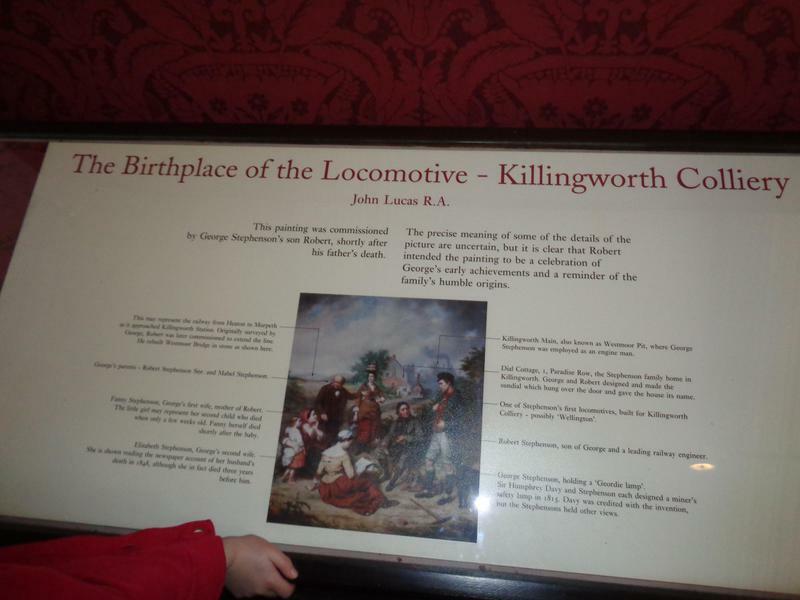 He also owned and ran a coal mine and iron works in Clay Cross. 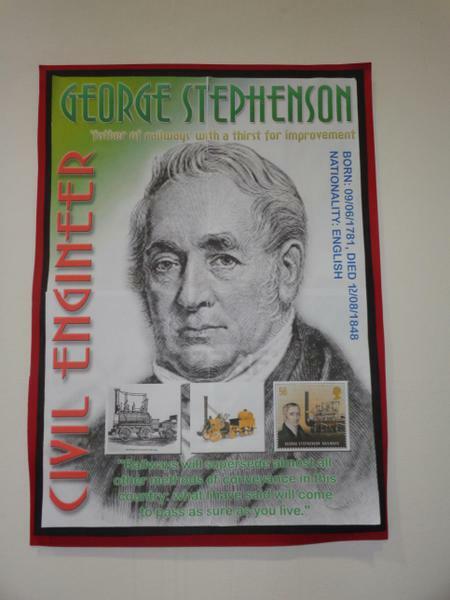 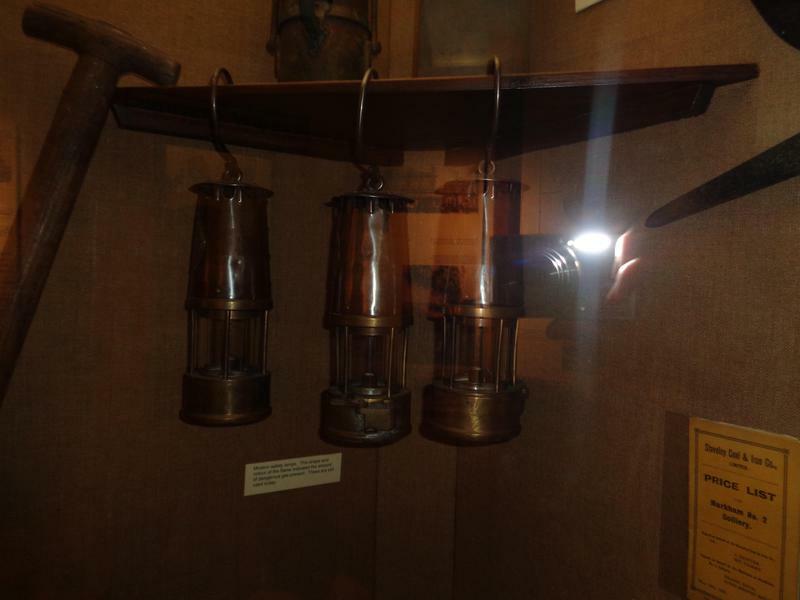 Some of us found it very interesting to learn that George Stephenson's hobby was gardening - while living at Tapton House he invented a glass tube which helped cucumbers to grow straight! 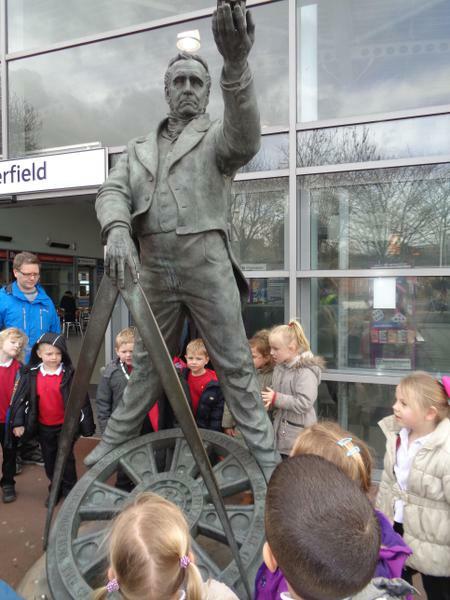 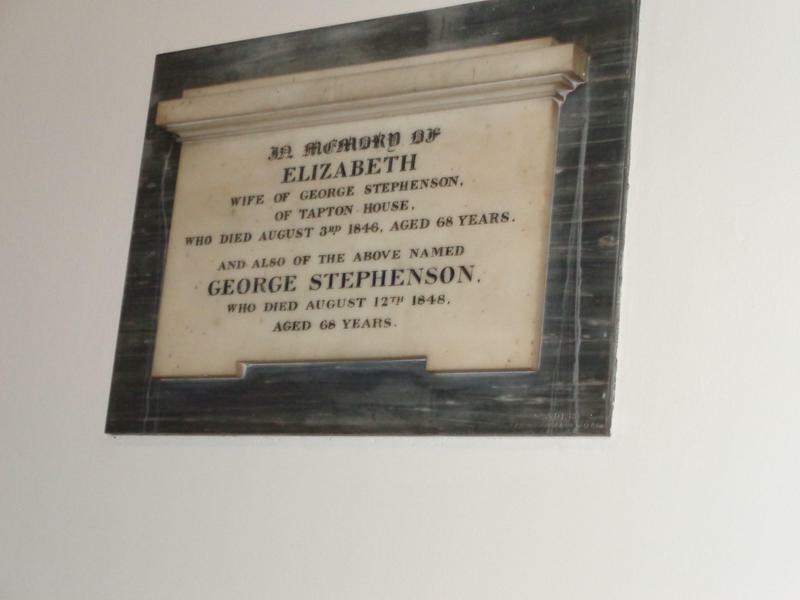 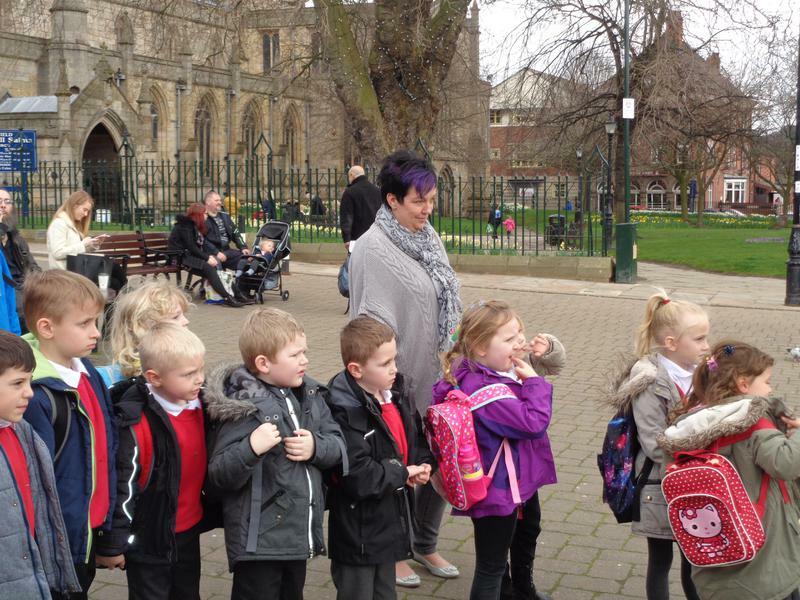 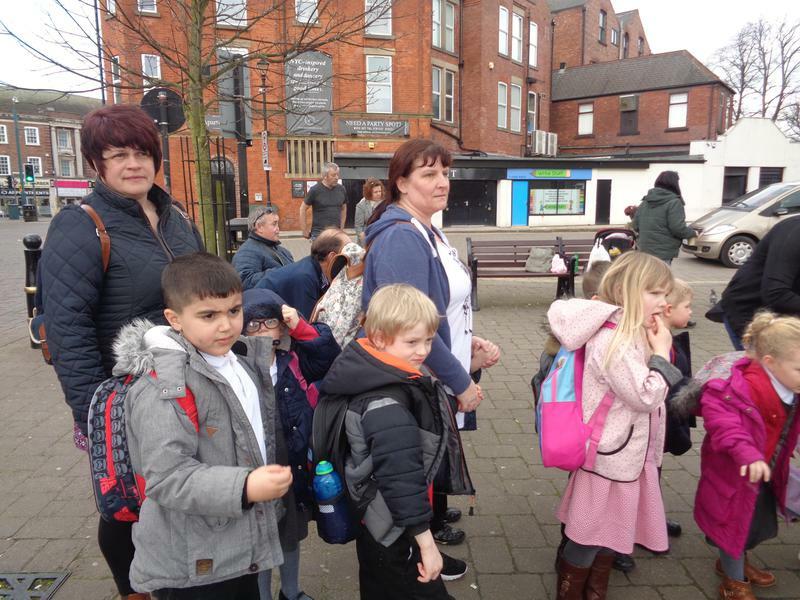 We learnt lots about George Stephenson and why he was so important to the local area. 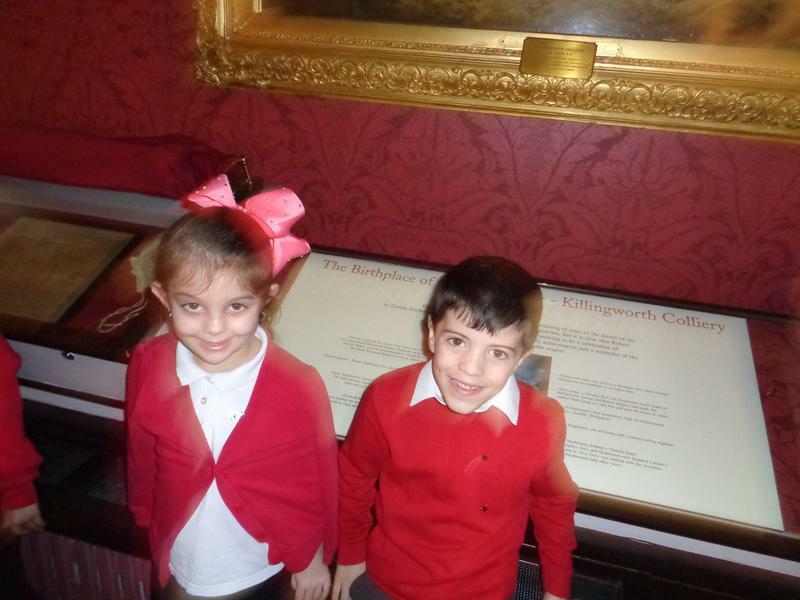 We had a fantastic visit! 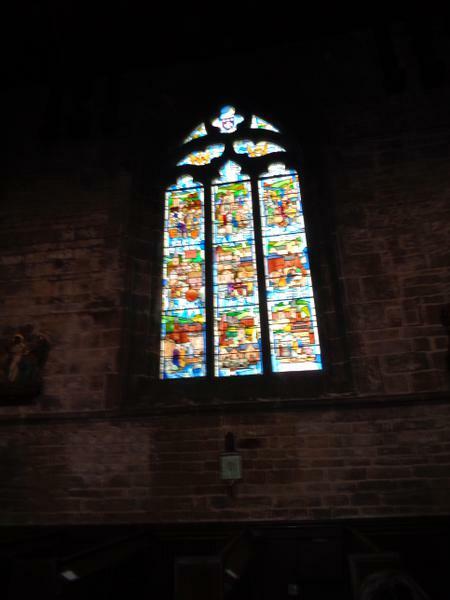 We saw the stained glass windows at St Mary's church. 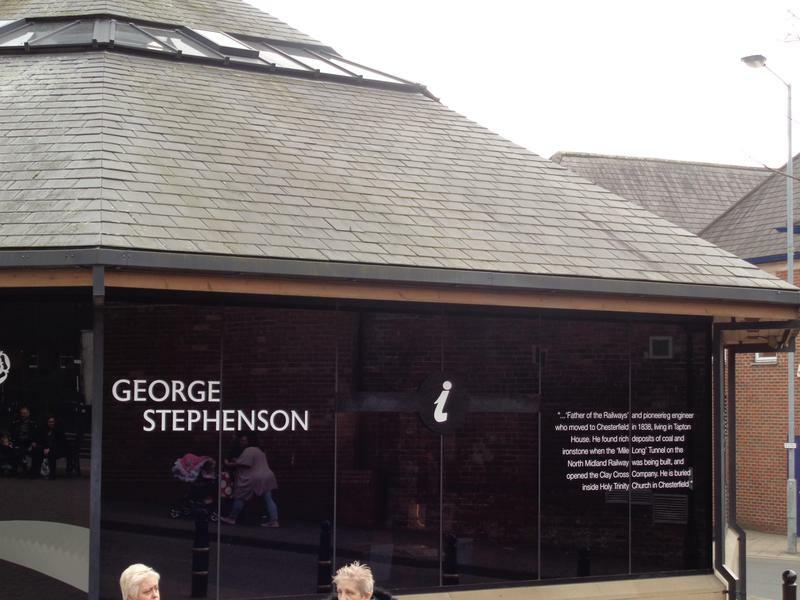 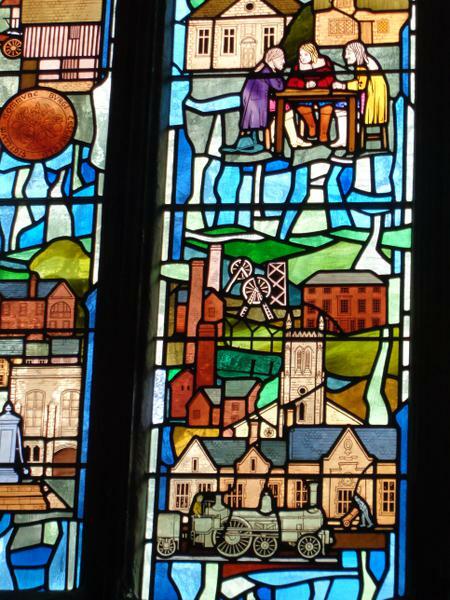 George Stephenson has a whole pane dedicated to him because he was so important. 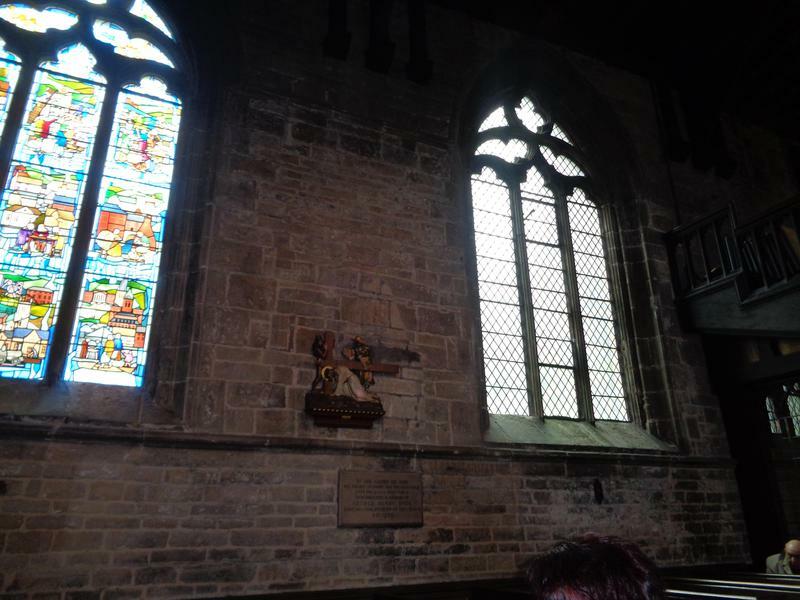 The children thought that the plain window next to it should be decorated to honour Mr Martin! 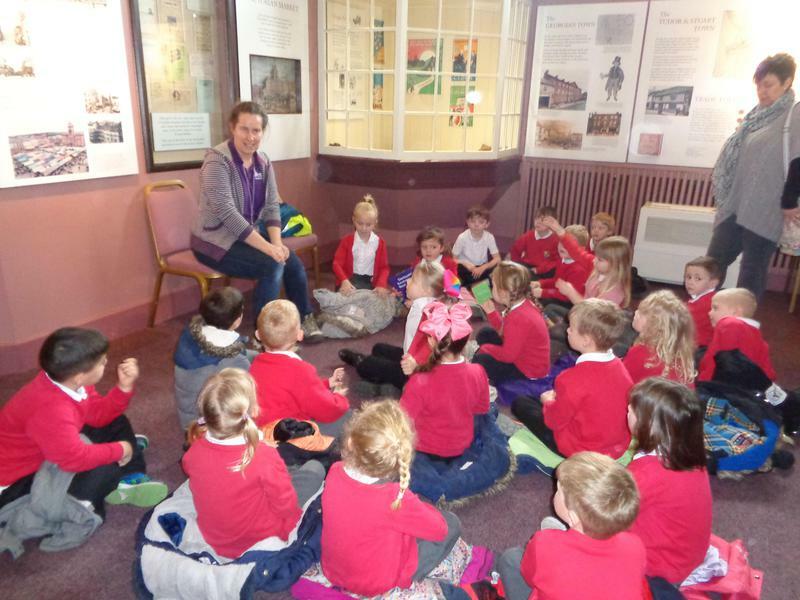 We had a wonderful time learning all about George Stephenson. 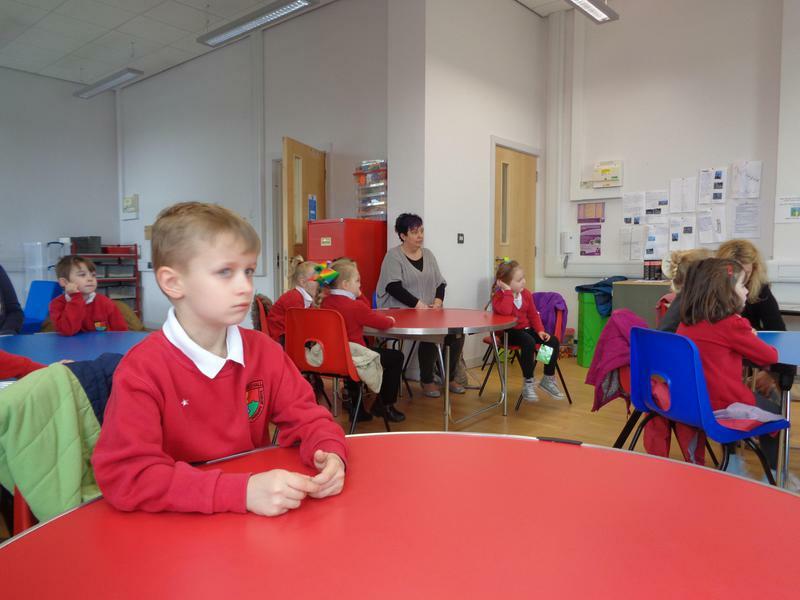 We have been using the computers and laptops to make an information page about different modes of transport. 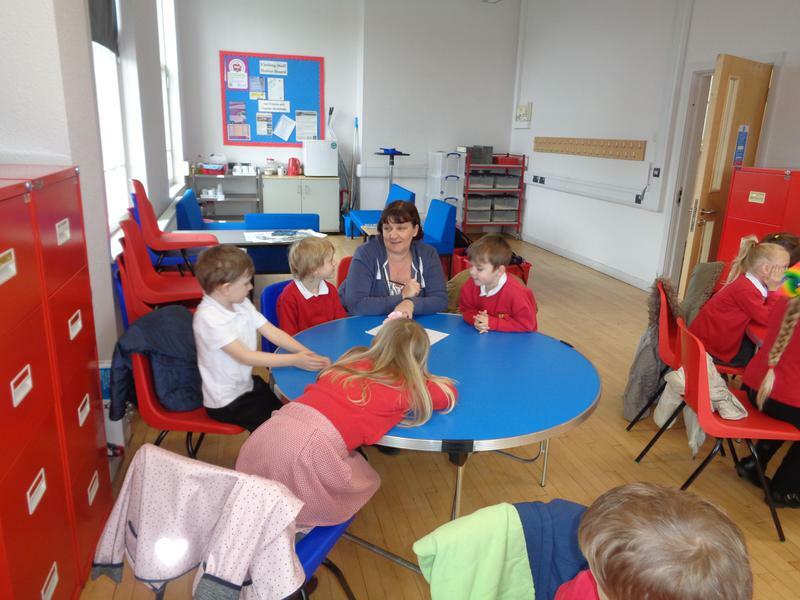 We learnt how to type, how to use the space bar and how to produce capital letters. 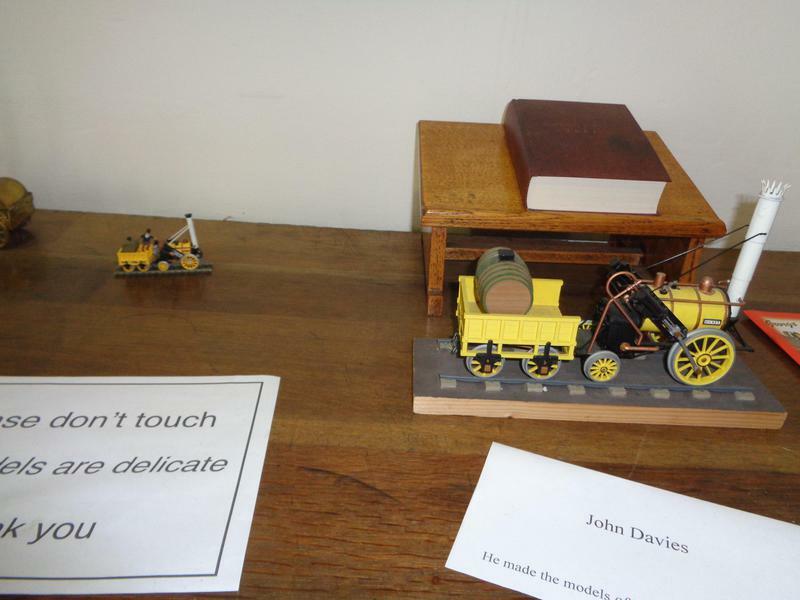 What a fantastic invention a computer is!